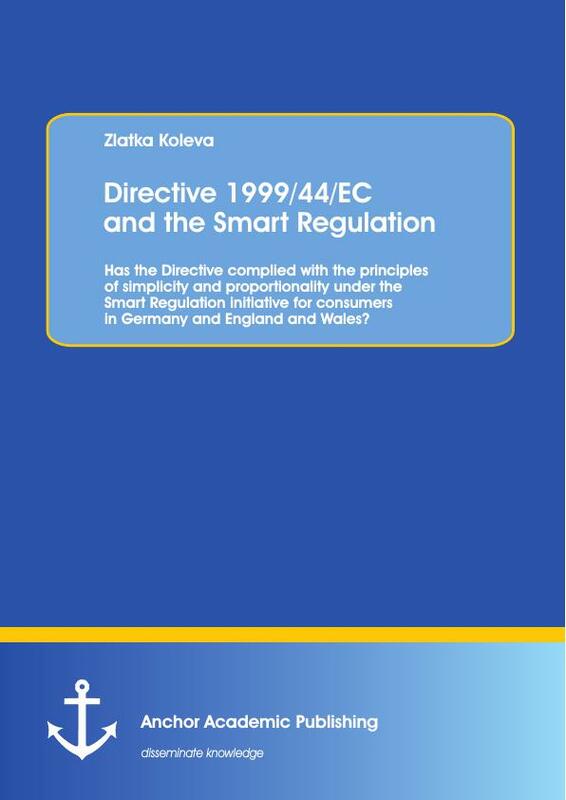 Directive 1999/44/EC and the Smart Regulation: Has the Directive complied with the principles of simplicity and proportionality under the Smart Regulation initiative for consumers in Germany and England and Wales? new changes and relate them in a coherent way with its values and principles. particular small and medium enterprises. Treaty on European Union, as amended by the Maastricht Treaty (1992) OJ C 191.
what makes the European Union special" in `Better Regulation ­ simply explained', 1. Lisbon European Council, Presidency Conclusions (2000) para.1. Regulation, and Legitimacy (Oxford University Press 2010) 80. Mandelkern Group on Better Regulation (2001) 10.
achieve the objectives of the Treaties. the rights it gives and the constraints it imposes for the purposes of EU law. 1999/44/EC on the sale of consumer goods and associated guarantees on consumers. Mandelkern Group on Better Regulation (n 6) 9. SWD (2013) 60 final at 17, 19, 22 and 24. COM (2013) 685 final (n 5) 7; Annex to COM (2013) 685 final 5.
higher level of legal certainty and consumer protection. Smart Regulation normative framework as applied in Germany and England and Wales. rective, as it lies in the heart of the discussion. 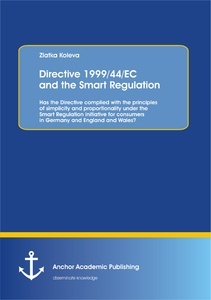 the Directive with regard to its application and interpretation on national level. promotes high level of protection for consumers. embraced by the drafters, as recitals 1 and 23 demonstrate. this line of thought judging by several recitals. of the sale of consumer goods and associated guarantees [hereinafter referred as "The Directive"]. "TFEU"] (2008) C 115/01 article 169, para. 1. (Oxford University Press 2014) 148.
harmonization with regard to consumer law rules. member states with the open opportunity to impose stricter rules on specific areas. regard to the goods delivered. remedies is repair or replacement, unless it is found impossible or disproportionate. more convenient for the consumer. with reasonable amount of detail for the purpose of clarity. Recital 7 resembles the rule adopted in para.5 of article 114 of the Directive. The Directive (n 1) article 3, para. 1.
faulty goods delivered, which according to article 5 of the Directive lasts two years. have existed from the beginning. for a higher level of consumer protection. desverband der Verbrauchzentralen und Verbraucherverbände case ("Quelle AG"). ibid. article 5, para. 1.
only exceptions of this rule. (Oxford University Press 2013) 446. I-2685 [hereinafter referred as "Quelle AG"]. that the consumer should not pay for the usage of a faulty good. scenarios which can be taken into account: relative and absolute proportionality. to European Union Private Law (Cambridge University Press 2010). Electronics GmbH  ECR I-5257 [hereinafter referred as "Gebr. Weber"]. für ein optionales europäisches Kaufrecht (Selier European law Publishers 2012) 258.
that it would deprive the consumer of a short-term remedy. relative disproportionality test was favoured. Gebr. Weber (n 20) 65.
ibid. 46, 49-53; Quelle AG (n 16) 33-34; See also n 19.
problems which will be discussed in detail in Chapter 4. Zilivrechts in vergleichender Betrachtung (De Gruyter Rechtswissenschaften Verlags ­ GmbH 2007) 67.
apparent and called for a legislative change. the Directive on Late Payments and the Directive on Electronic Commerce. German civil code, have to be applied simultaneously. reconsider the German civil law approach. 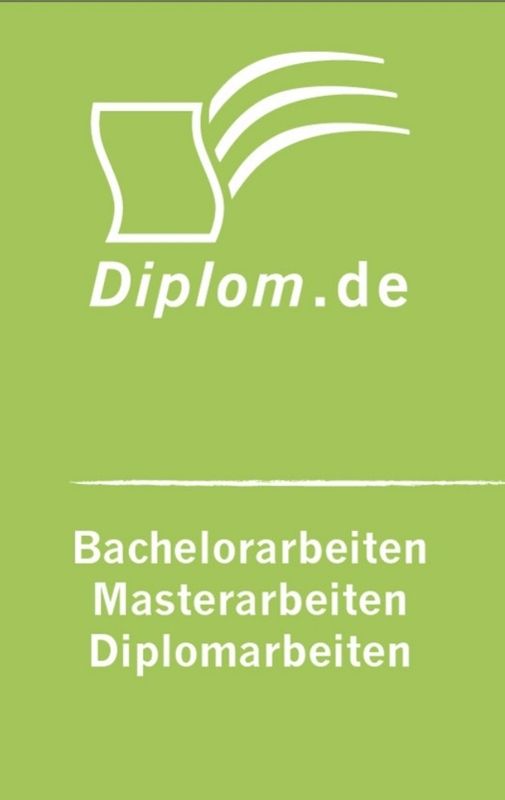 German Law (Kluwer Law International 2005) 201. Obligations: Roman Foundation of the Civilian Tradition (Clarendon Press 1996). des Verkäufers beim Stückkauf (Peter Lang GmbH 2010) 30.
the right to cure the consumer for the delivery of a faulty good. beneficial effect for consumers with regard to the right to lodge a claim. 5 German Law Journal 238-239; The Directive (n 3) article 3, para. 3. Emmerich, BGB-Schuldrecht Besonderer Teil (C.F. Müller 2012) 18. Law' (2003) 40 CML Rev 1107.
ibid. BGB n.2 and 3; The Directive (n 3) article 3, para. 5. BGB (n 14) s 438.
time to lodge a complaint has increased four times. ny, had failed to implement EU legislation on time. several parallel existing orders with regard to sale of goods in Germany. schaftler und Ingenieure (JohnWiley & Sons 2012). and Italian Republic  ECR I-5375.